Bigg Boss Tamil 2: Why is Kamal Haasan angry? A lot happened this week in Bigg Boss Tamil which has left the host of the show Kamal Haasan annoyed. The promo of Saturday's episode featured an angry Kamal. Kamal Haasan looks angry in the promo of Satuday’s episode of Bigg Boss Tamil season 2. 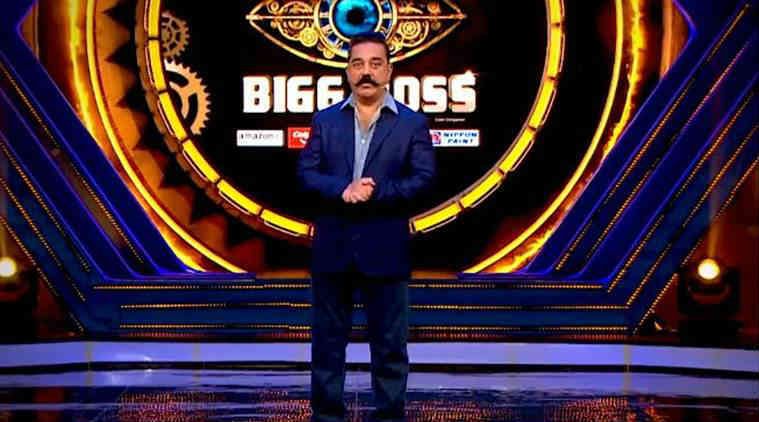 The promo of Saturday’s episode of Bigg Boss Tamil season 2 shows an angry Kamal Haasan, indicating that someone is all set face the host’s wrath. “I have an obligation to ask you to watch today’s episode as I get paid for that. But, I also feel I have one more duty and responsibility to perform. You keep on looking and I will get to work,” Kamal says in the promo in a serious tone. So why is Kamal Haasan angry? It’s hard to say what made him so upset. A lot happened this week in Bigg Boss Tamil Season 2. It started with the weekly ‘luxury budget’ task titled Rani Maha Rani. Contestant Aishwarya Dutta was appointed the ‘dictator’ of the Bigg Boss house and was asked to rule over the housemates with an iron fist. To set the ball rolling, the showrunners showed her footage of what other contestants have to say about her. Aishwarya’s co-contestant Balaj spoke ill about her. The footage enraged Aishwarya, who vowed to teach him a lesson. On top of it, Balaji refused to obey her orders which were part of the task. His impertinence gave more reasons for Aishwarya to take him to the task. And then, she did something that shocked everyone in the house and the viewers. She dumped an entire trash bin on Balaji’s head. The incident sparked a widespread criticism against Aishwarya. While some took her side, arguing Balaji had it coming, many opined that her actions were unjustifiable. As the show drew closer to the weekend, senior contestant Ponnambalam restrained Aishwarya with a rear-naked choke and pushed her into the swimming pool. He was later reprimanded by Bigg Boss and was banished from talking to fellow contestants or taking part in the activities of the house. Controversy even affected Kamal, as a police complaint was filed against him for allegedly portraying late chief minister J Jayalalithaa as a “dictator” in a recent episode of Bigg Boss Tamil Season 2.